Hike or camp inland in the forest or northwest area and one thing is certain, you’re going to get wet. Fortunately, there are dry bags or dry sacks available to keep your gear from getting wet with you, and dry gear is a lifesaver when it’s time to change or get some sleep after a long day. 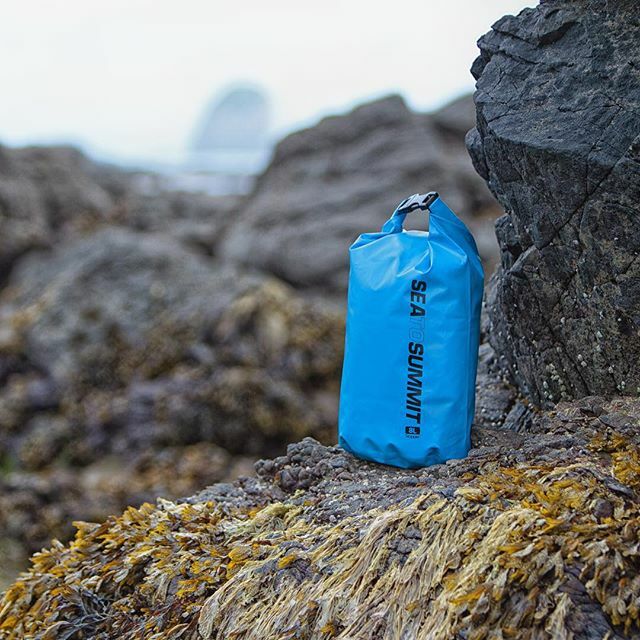 Sea to Summit has the widest range of dry sack sizes but there are number of other makers as well. The unique thing about these travel bags is that they are easily rollable and foldable into a small size for easy carrying. They then open up into a sizable bag to contain and protect quite a bit. They can take direct contact in water without letting get soaked, which is great for creek or river crossing, and they are made to be durable, unlike basic plastic bags which fail after one use. Moisture is the number one reason for discomfort, chafing and blisters in gear and clothes. Keep your stuff dry with dry sacks and you’ll enjoy your forest wetter climate hiking a lot more.